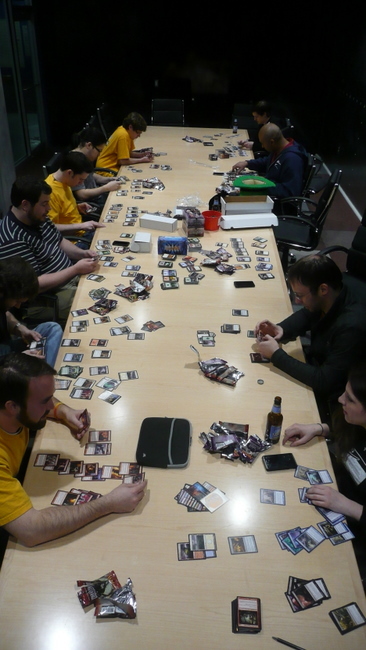 Who prevailed in the friendly challenge between planeswalkers from Escapist staffers and Mighty Rabbit games? 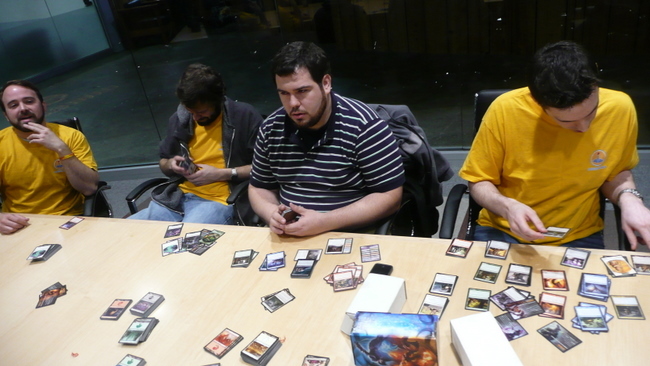 Gamers love all kinds of games, be it playable on a screen or with cards, and a lot of videogame developers I've met definitely have caught the Magic bug. 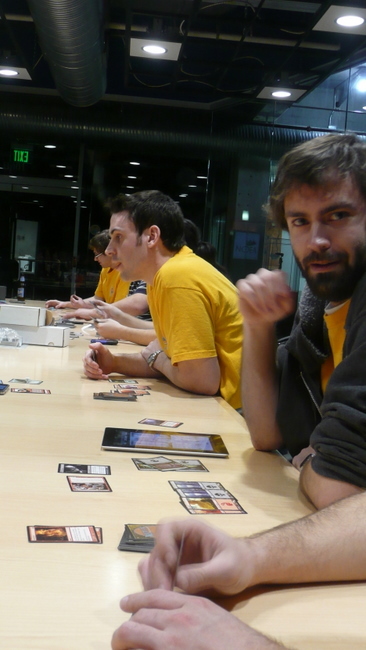 The popularity of the venerable card game has certainly surged in the last few years and it has gotten to the point where even a casual conversation includes random queries about which formats you prefer and whether Dark Ascension is all that. 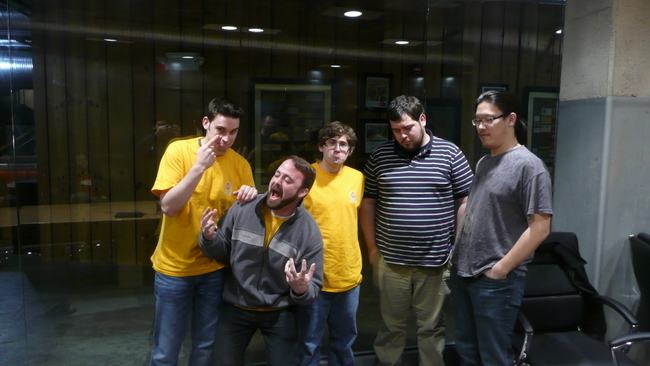 The guys from Mighty Rabbit studios, a local iPad game outfit here in the Triangle area of North Carolina, recognized that some of us folks at The Escapist talk about Magic quite a bit on various social networks. 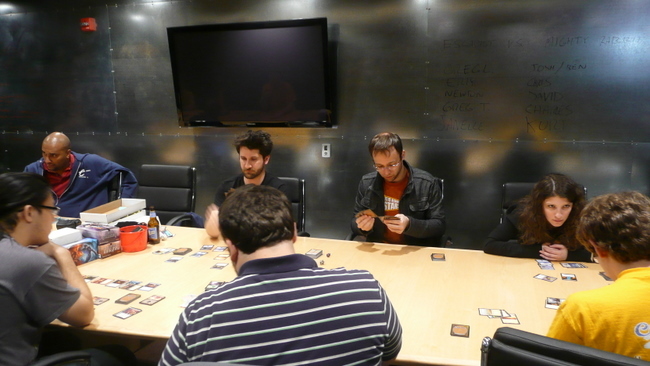 CEO Josh Fairhurst decided to take advantage of our bravado, and challenged The Escapist to a friendly tournament. 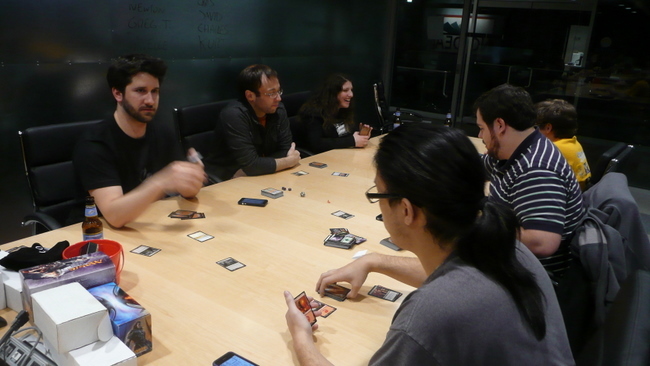 To celebrate the release of the latest Magic set, we planned to have a draft tournament using a single booster box of Dark Ascension. 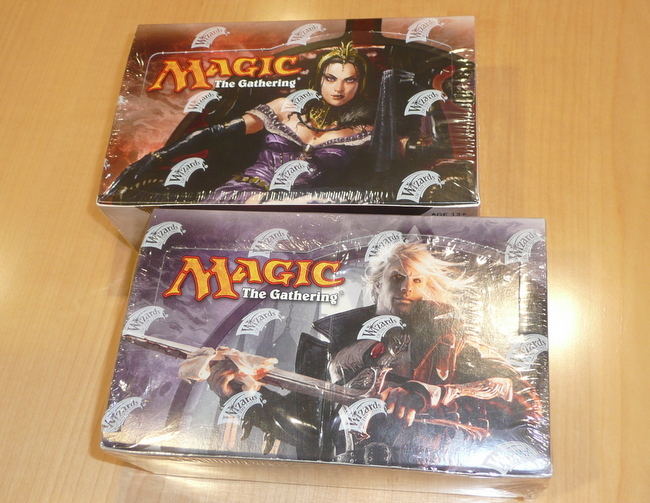 That set is great and all, but it isn't standalone by any stretch and works best when paired with Innistrad. 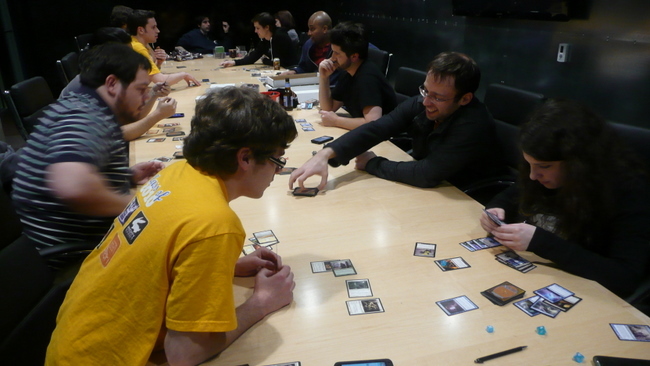 So we altered the format to a sealed deck tournament. 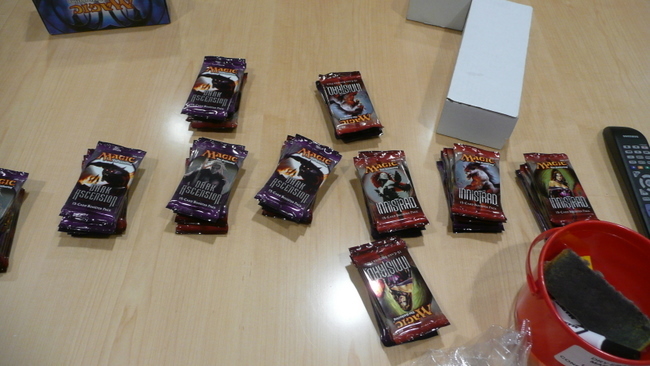 Basically, players will get three packs of Dark Ascension and three packs of Innistrad and build a deck of a minimum of 40 cards using what they draw. We would then play best of three matches random members of the opposing team of five and compare records after two rounds. The competition was hot. Spells were slung. 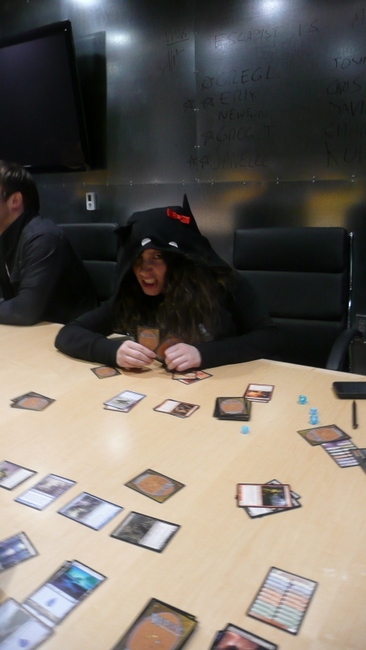 Creatures were killed, and damage was dealt. 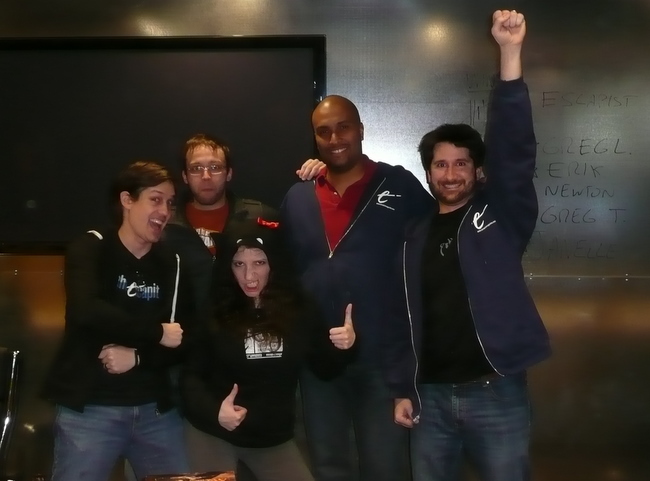 In the end, The Escapist Team reigned supreme. 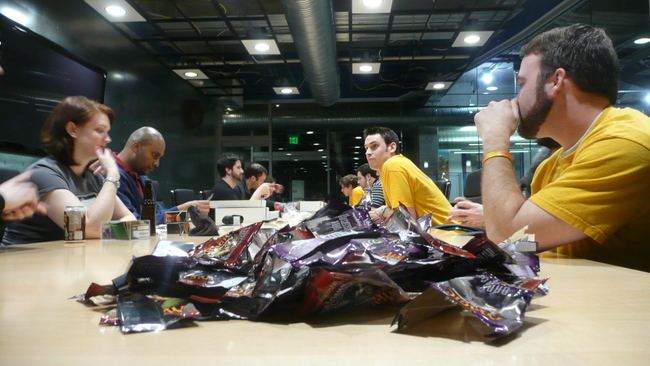 Kross, Trujkin, s0osleepie, Sir Isaac and me all fared really well with what we pulled. 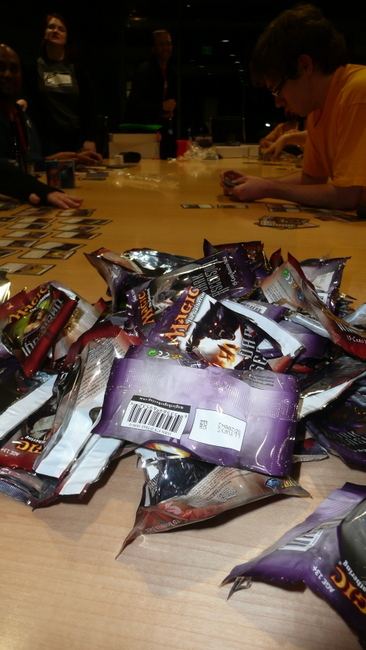 To the victors go the spoils, and we each netted two extra booster packs. I hate to rub it in, but we really kicked their asses. 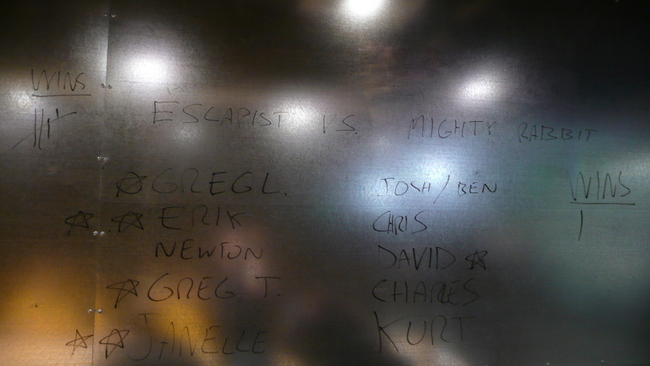 Out of the 10 matches played, The Escapist won all but two. 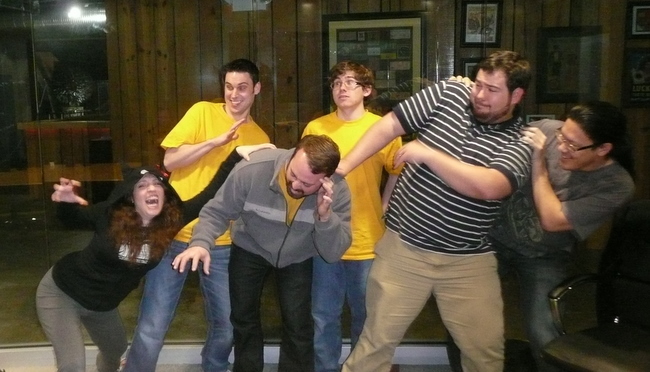 But Benjamin Moore, Josh Fairhurst and the rest of the Mighty Rabbit squad were really good sports. We had a lot of fun, and who knows? Once they practice their Planeswalking skills, maybe Mighty Rabbit can come back and challenge us again, perhaps once they finish work on the Saturday Morning RPG. 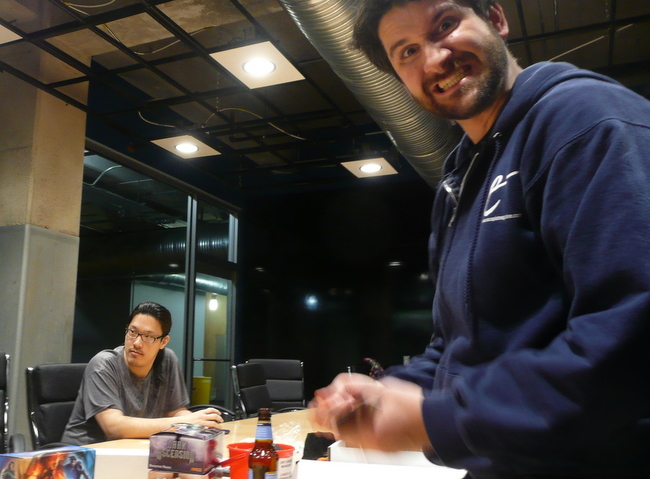 To that, s0osleepie says, "Bring it!"